Tulisan Murtad: Tighten Your Safety Belts, Israel! Tighten Your Safety Belts, Israel! Americans apparently overlooked four years of economic waste, and a failed foreign policy of sucking up to the Muslim world, by re-electing their president. What now? Israeli people in the know predict that Obama will shortly reveal an agreement with Iran that will position Tehran stopping their uranium enrichment program in return for easing of sanctions. 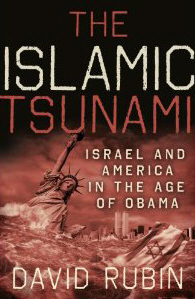 Incredibly, Obama will launch it as a success story while Israel will present it as a fair story. Obama will want to put Iran out of reach for the world so as to enable him to take a harder line on his Socialist plan for America and to progress his global vision of leveling the playing field for a better world, which implies weakening America further, economically and militarily. As almost immediate proof of this, expect to see swinging defense cuts, including sizeable unemployment, in the early part of 2013. In fact, we will be hearing of unemployment soaring over the 8% mark again as early as February 2013 in America. Their national debt will grow accordingly. All this will embolden a growing Islamic world that will be stupefied to see America give their leader another mandate to continue his apology policy towards them. A new Obama Administration, pleading with the Muslim world “to be nice, please, because we don’t hate you,” is not going to cut it in this violent and crazy neck of the woods. They consider him weak and will view America in decline. There is no way that Obama is going to change his personal animosity towards Israel’s Prime Minister. Benjamin Netanyahu is fully expected to win the January Israeli elections with a bloc linked to Israeli Beitenu. He is expected to cobble together a center-right government together with Shas, the Sephardi religious party, the new Yair Lapid party of Yesh Atid (There is a Future), another national religious party and, perhaps, the remnants of what will be left of the centrist Kadema party. If Obama continues to express views on the Israel-Palestinian conflict that did nothing to ease the parties into talks, as he repeatedly did during his first four years, this issue will be log-jammed for the foreseeable future. It was Obama blurting out pre-conditions to Israel on completely stopping “settlement activity” and withdrawing to 1967 lines with mutually agreed swaps, instead of encouraging the parties back into the negotiating room, that encouraged Palestinian leader, Mahmoud Abbas, to climb further up the tree of rejectionism, a tree that he has been unable to climb out of.“Why should I be less Palestinian than the man in the White House,” he has repeatedly said. In fact, the previous Obama Administration did nothing to pressure or cajole the Palestinian leadership to stop their intransigence and incitement against Israel and get back to the table. As a result, they now see an adamant Abbas turning again defying America and going to the United Nations for non-member statehood stat (whatever that means), and a divided Palestinian society with the Hamas wing maintaining their violent hardline not only against Israel but also against the Fatah-led Palestinian Authority. Obama can blame Bibi if he wishes, but he is guilty of a lion share of the blame for failing to progress the peace process. At least under Bush the two sides were talking to each other. It is clear that Obama 2 will be too busy tackling the US economy, trying to progress Obamacare, and leading from behind internationally, to give too much attention to Israel and the Palestinians. He is in enough difficulties in the rest of the Middle East to burn his fingers sorting out this problem. This leaves Israel more isolated than before. True, are being backed militarily but look closely at what we are getting. The budget will be primarily for defensive anti-rocket hardware. Expect future restrictions on our attack capabilities. In other words, it will be a policy of providing us with the umbrella to protect ourselves from incoming missiles while leaving us limited in our long distance strike options. Israel will not put their faith in the Ayatollahs no matter what agreement Obama signs with Iran. Ahmadinajad will be replaced by another puppet of the religious leaders in 2013. The West may project him as a moderate, compared with the outgoing president. The new guy may talk less publicly about wiping Israel off the map, but the ones pulling the strings will still be there, behind the scenes, plotting the fate of the Zionist entity. Israel will be further encircled with an alien enemy. Assad’s Syria will fall. It will not be replaced by a pragmatic secular government. Can anyone predict who will be ruling Jordan by the end of 2013? In fact, what will be the fate of unpopular and aging Mahmoud Abbas in 2013? Will Fatah fall and be replaced by Hamas in the West Bank? Will the Palestinian Authority fracture? What are these implications for Israel? With Obama in power, free to pursue his ideas until 2016, it must point to going it alone. Obama was caught with an open microphone while chatting with Russian President Medvedev in March 2012. “Let me get reelected first,” he said, “then I’ll have a better chance of making something happen. This is my last election. After my election, I have more flexibility.” “Flexibility” as far as Israel is concerned will be a harder line than before, and "before" left a mess. Thanks to the result of the American election, and the return of Obama to the White House, Israel is more isolated now than it was before. Can anyone with Obama’s perception of Islam be expected to take the measures necessary to contend with the danger this theo-tyrannical political doctrine presents? There is much that binds the US and Israel together. Nonetheless, both political prudence and past experience suggest that the Israeli leadership should not disregard the prospect that the congruence of US-Israeli interests may not continue indefinitely. A possible divergence of interests may of course arise because of substantive policy disagreements between the two countries on a wide range of issues – from the proliferation of technology and weapons torelations with the Islamic world. Dissension may also stem from factors largely unconnected to Israeli policy itself [such as] changes in the American domestic power structure and in the relative influence of various pro- and anti-Israeli power centers and/or pressure groups fueled by problems of burgeoning ethnic diversity that challenge the prevailing definition of American national identity. – Strategic Assessment, Institute for National Security Studies (INSS), Vol. 1, No. 4, 1999. I wrote this caveat almost a decade and half ago in a policy paper for what was then Tel Aviv University’s Jaffee Center for Strategic Studies (JCSS) – today the INSS. The factors I raised as potential points of dissension with a future US administration – weapons proliferation, relations with the Islamic world, shifts in US power structures and the influence of pro- and anti-Israeli lobbies together with changes in ethnic demographics – have all emerged as starkly relevant issues impacting Israel-US relations. As such, they have – or at least should have – become highly pertinent considerations in determining voting patterns next Tuesday for anyone who ascribes importance to the security of Israel, and value to its ties with America. For although Israel has largely been a bipartisan matter in the US, there is emerging evidence indicating that this is becoming an issue over which a deep divide is beginning to develop. This divide seems to parallel other deepening rifts in the American electorate. “This has to be the most racially polarized presidential election in decades,” blared a recent headline in the British daily The Independent. Indeed, there does appear to be a definite ethnic cleavage among voters. Close to two out of three whites support the Republican candidate, while roughly four out of five non-whites favor the Democratic one. This apparent party-partisan schism along lines of ethnic-affiliation appears to be reflected in a parallel rift in voter preferences on the issue of Israel. The differential in predilections is dramatic. More than five times more Republicans than Democrats feel that the US should be more supportive of Israel. Conversely, the proportion of Democrats who feel that the US is too supportive of Israel (25%), is almost double that of Republicans (13%). These findings seem to have found strong corroboration in the antagonistic sentiments displayed at the farcical spectacle witnessed at the recent Democratic National Convention (DNC), when the chairman, Los Angeles Mayor Antonio Villaraigosa, attempted to reintroduce the party’s recognition of Jerusalem as the capital of Israel into the Democratic platform, after its unexplained deletion. But if the removal of the long-standing recognition of the status of Jerusalem was a cause for concern among pro-Israel supporters, the ham-fisted attempt to re-institute it should be even more disturbing. Despite Villaraigosa’s frantic efforts to somehow create a show of support from the required two-thirds of the delegates needed to approve the amendment, the result was failure, farce and falsification. For any remotely fair-minded observer it was clear that in the thrice-called voice vote the “ayes” were nowhere near the necessary two-thirds majority. In fact, it seemed that the “nays” had, at least, equal – if not greater – support. The clearly fallacious declaration was greeted with howls of protest, while the raucous booing clearly conveyed the naked distaste and hostility a large portion of the party faithful had for the pro-Israel gesture. The angry dissent at the DNC recognition of Jerusalem as Israel’s capital – supposedly at the behest of Obama – seems to reflect the real policy of the administration far more than the artificial proclamations at the DNC. After all, it is difficult to conceive of a greater disparity between the DNC’s professed recognition of Jerusalem as the capital of Israel and the conduct of senior administration spokespeople. On separate occasions this year, both White House Press Secretary Jay Carney and US State Department spokeswoman Victoria Nuland, who are presumably apprised of the administration’s Jerusalem-policy, not only publicly refrained from recognizing the city as Israel’s capital, but appeared reluctant to commit themselves as to whether Israel has a capital at all. The president himself has been no more credible on this issue. As I mentioned in last week’s column, his rousing pledge at the 2008 AIPAC conference that “Jerusalem will remain the capital of Israel, and it must remain undivided,” had a staggeringly short shelf life, enduring barely 24 hours before the back-pedaling began, and apologetic clarifications were issued that the word “undivided” was poorly chosen, leaving us to puzzle over what would have constituted a “judicious choice” of words. ‘Re-divided’? The problems of credibility are even graver with regard to the vice president. As a senator, Joe Biden sponsored/cosponsored numerous bills that called for the US government to recognize Jerusalem as the undivided capital of Israel, extending Israeli sovereignty to the entire city, even mandating the transfer of the US Embassy to it. Yet despite this, Biden was the central protagonist in a carefully choreographed spat with the Israel government over a routine bureaucratic procedural matter involving an interim-stage approval of a future extension of a north Jerusalem neighborhood. Significantly, the neighborhood – Ramat Shlomo – was not only excluded from the building freeze then in force, but its development was precisely in accordance with the letter and the spirit of the Biden (co)sponsored Senate resolutions and the short-lived Obama declaration. The needless and ugly US-Israel friction that followed the manufactured incident brought the relations between the two countries – in the assessment of usually reserved Michael Oren, Israel’s ambassador in Washington, to a gathering of Israeli diplomats – to their lowest level in 35 years. These two factors: (a) The shifting composition of the Democratic party’s rank and file, and hence the shifting preferences of its voter base, which cannot but impact the decisions and policies of the party leaders; and (b) The remarkably rapid repudiation of pledges by the most senior members of the administration; should constitute important caveats in assessing some pro-Obama apologiae, published recently by wellknown public figures such a former Mossad director Efraim Halevy, and Harvard law professor Alan Dershowitz. One provided a highly debatable and dubious defense of the Obama-administration’s record; both in effect comprised electoral endorsements for affording it a second term. Neither can go unchallenged. Halevy offers his New York Times piece, titled “Who Threw Israel Under the Bus?” as “food for thought” in advance of the coming elections. In it, he enumerates several episodes, starting from the 1956 Suez campaign, in which a Republican administration treated Israel harshly, at times coercing it to adopt/accept measures it otherwise would not have – contrasting this with the allegedly more benign behavior of Democratic administrations. Although Halevy is someone for whom I have considerable personal esteem, I am compelled to take issue with him on numerous points. First, he seems to be highly selective in his choice of episode and emphasis. Most significantly is his omission of any mention the fact that it was Richard Nixon’s Republican administration that came to Israel’s aid in its most desperate hour, during the dark days at the start of the Yom Kippur War. The road map was envisaged as a staged process, with the implementation of each stage contingent on that of the preceding one. As clearly there has been no “End to Palestinian violence,” all the subsequent phases were moot. So unless he is counting on the public’s ignorance/amnesia, it is difficult to know what point Halevy is trying to make – particularly since the only administration that coerced Israel to implement virtually the only obligation it has under the crucial Phase I (a freeze on settlement construction) was the current Democratic one. But even if we admit that much of what Halevy wrote is (largely) accurate historically, it is totally irrelevant politically. The Democratic Party today is no longer that of senators Henry “Scoop” Jackson and Daniel Patrick Moynihan. There have been tectonic shifts in the composition of its voter base, and hence in its political priorities, and hence in the political proclivities of its elected representatives. The shrill wakeup call of the Democrats’ September 2011 defeat in New York’s Ninth Congressional District, and the realization of the electoral implications of a Jewish voter backlash, put this policy on a temporary hold. But in a second Obama term, with the “flexibility” afforded by having no reelections constraints? Risky, very risky! Reading Alan Dershowitz’s “The case for Obama’s reelection” in today’s Jerusalem Post (page 24), one might be excused for wondering whether the eminent professor has taken up residence in a parallel universe for the duration of the campaign. It would take at least an entire article to redress some of the extraordinary claims Dershowitz makes in endorsing Obama’s alleged accomplishments. Given the constraints of space, let me focus on one. Indeed, with regard to the later, it would seem that the more effusive the outreach, the more contemptuous the reaction. According to the findings of a 2011 Zogby poll on “Arab Attitudes”: “US favorable ratings across the Arab world have plummeted. Similar dismal results appear in other polls such as the 2011 Pew poll on the standing of the US in the Muslim world. When Dershowitz declares that “the Obama administration has worked closely with our allies to... help keep the Arab Spring from turning into an extremist Muslim winter,” it is difficult to restrain the urge to react with ridicule. Indeed, as a piece titled “Tunisia, a Sad Year Later,” (in Wednesday’s New York Times) conveys, even the hitherto “poster child” of the Arab Spring seems to be teetering on the wintry brink of Islamic extremism. So where, pray tell, is there any evidence of Obama preserving even a spark of the hope and change the “Spring” was purported to herald. In some parallel universe? In a second term, a reelected president has considerably greater “flexibility” to give expression to the primal political instincts that he brought to the Oval Office. In the case of Obama, these are best judged by his actions at the start of his incumbency, before any reelection constraints began to impose restrictions on his preferences. In this regard, his naked antipathy towards Israel and its government were painfully obvious – as has been amply documented by many. And while he has conducted a highly kinetic campaign against al-Qaida, which he has no problem in perceiving as an enemy, there is little evidence to suggest that he perceives the far more strategically ominous Muslim Brotherhood as a geostrategic threat to the US. There much to suggest that he does not. This is intensely pertinent for Israel and its supporters, for hugely menacing possibilities are beginning to emerge for the beleaguered Jewish state. Muslim radicalism is in the ascendancy across the region and the question is: Can anyone with Obama’s benign perception of Islam be expected – never mind relied upon – to take the measures that are needed to contend with the danger that this theotyrannical political doctrine presents for the US and Israel – and for the citizens of both countries? Iran is inching ever closer to nuclear capability and Obama adamantly refuses to set red lines to impede that process, insisting on sanctions that certainly harm Iranian citizens but have dubious capacity to deter the Iranian government from its ambitions. If Israel felt forced to launch a preemptive strike to disrupt the program, would Obama really “have Israel’s back”? If Israel were compelled to take over tracts of Sinai to curtail terrorist activity originating there, what reaction could it expect from a second-term Obama? If the Islamists prevail in Jordan, how would this affect – if at all – Obama’s policy on a Palestinian state, which too might have a radical leadership amenable to merger with a new regime in Amman – presenting Israel with the prospect of an Islamist neighbor stretching from the approaches of Tel Aviv to the Iraqi border?